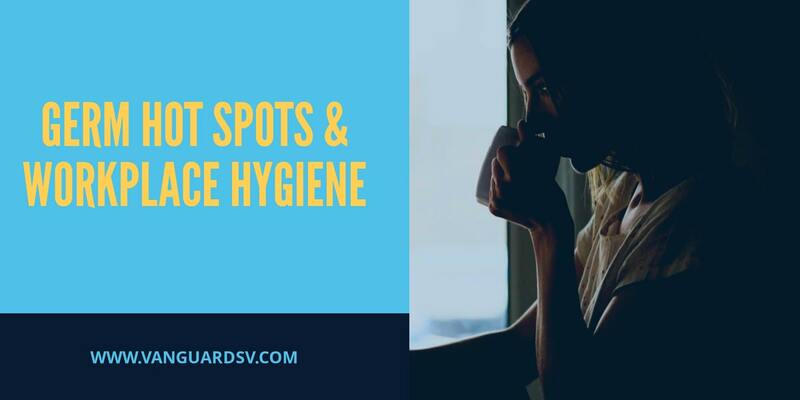 Workplace illness costs U.S. employers hundreds of billions of dollars per year in direct and indirect costs due to poor workplace hygiene and the inadequate cleaning and disinfection of germ hot spots. While the numbers do not lie, it turns out many of us may be--self-reported handwashing percentages range in the high 90's, while observed behavior is more around 60-70%, with numbers decreasing among younger demographics, as well as, disgustingly, after occupants of any age use the restroom. This behavior, combined with a general lack of information regarding germ hotspots around classrooms, offices, and cafeterias, as well as routinely deadly flu season, translates into a massive loss of profits and productivity for schools and businesses. [...] only 5 percent of people properly washed their hands after using the restroom. Other studies cite rates as high as 50 percent, but most agree that at least half of all people fail at hand hygiene — and that can have severe consequences. If your hands are contaminated, you can transmit that to as many as seven different surfaces. The cost of poor hand hygiene can be monumental. Illnesses can result in pricey absenteeism rates at schools and offices and, more worrisome, loss of lives in healthcare settings. Also, 100,000 people die each year from infections they’ve received at hospitals, and between 1 and 3 million people a year die in long-term care from healthcare-associated infections (HAIs). Studies have shown that, while education regarding ideal behavior is critical to maintaining and high-performance working and learning environment, by itself, it is insufficient. Socially-favorable handwashing practices must be combined with modern cleaning and disinfection procedures that focus on cleaning for health first and routine sanitation of well-documented germ hotspots. The average office desk contains 400 times the number of germs found on any given toilet seat, with recent studies showing an astounding 25 thousand organisms living on their surfaces. Complicating matters, 'hot-desking,' a popular trend in open and shared office models, as well as a conventional practice in schools and universities, tend to carry even more germs, are cleaned less often, and significantly increase the likelihood of acquiring an illness. Avoid eating at your desk. Get into the practice of regularly applying liquid or gel hand sanitizer. Office refrigerators are typically a dangerous combination of germs, mold, and bacteria, with many studies identifying listeria, campylobacter, and e. coli inside on various surfaces. This is due to the time-honored office worker tradition of leaving food in the refrigerator, well past its expiration date. Empty out the refrigerator on a regular basis. Keep a container of disinfectant wipes handy to allow occupants to sanitize door handles, one of the nastier germ hot spots in any shared breakroom. Recent studies have identified approximately 3000 microorganisms on keyboards, and 1600 on mice, with an estimated 60% containg staphylococcus, with rates increasing around 18% for shared open office hot-desk environments. The single most common method of germ transference to and from these devices is poor hand hygiene combined with a complete absence of cleaning or disinfection. As with all things desk related--don't eat at your desk. Workplace illness is an increasingly problematic challenge facing schools and businesses, and it is getting worse each year. Sick students and employees do not perform up to their potential or expectations, and cost U.S. businesses billions of dollars each year in avoidable health care costs and lost productivity. To put it bluntly, not cleaning your office or washing your hands well and regularly is vastly more expensive, and increasingly socially problematic, than even the most expensive, high-tech cleaning and disinfection programs. If you would like assistance with developing a high-performance workplace hygiene program, or to learn more about the advantages of outsourcing your school or businesses cleaning and sanitation requirements--contact us today for a free quote!